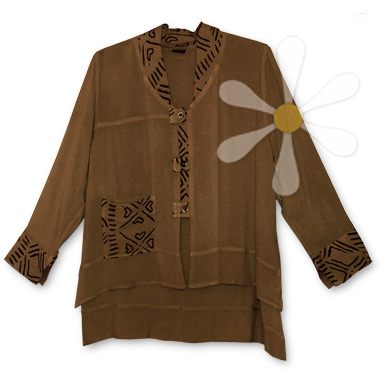 This FABULOUS east-meets-west treasure is in deliriously soft CLOVE susti highlighted with African Mud Cloth print. Gorgeous! For full details see the regular UNA page.